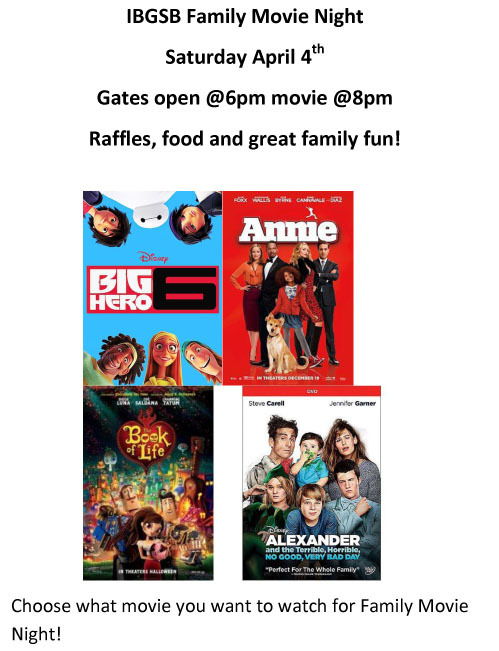 Please join the IB Girls Softball League for a night filled with friends, food, raffles, and a whole lot of family fun on Saturday, April 4, 2015. Gates open at 6 pm for food, games (cake walk), and raffles. The movie with the most votes will be played at 8 pm. You can vote for your pick at the Snack Bar. Throughout the night, we will be raffling off team baskets, a Baseball Alley donated basket, items donated by local businesses, a free IBGSB registration (valued up to $120), and a Kindle Fire!